Reverse: Two wrens, South Carolina's state bird, perched on rhododendrons. Presented to Sustaining, Patron, and Life members in 1977, also part of Brookgreen Gardens Annual Medallic Series. Exhibited as United States entry at the Biennial Exhibition of the Féderation Internationale de la Médaille (F.I.D.E.M.) in Florence, Italy, 1983. 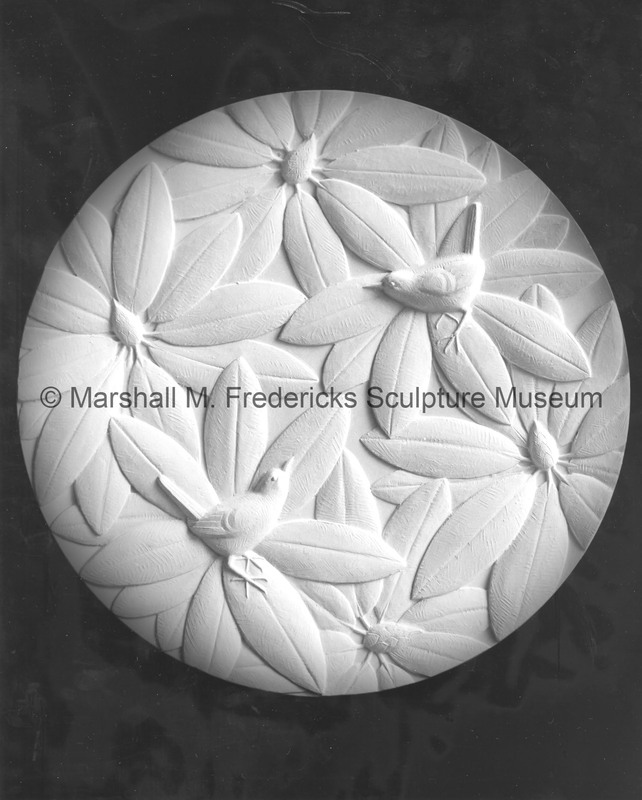 “Reverse of "The Gazelle Medal" (Brookgreen Gardens Membership Medal),” Marshall M. Fredericks Sculpture Museum, accessed April 22, 2019, http://omeka.svsu.edu/items/show/1989.